FACEIT, the leading competitive gaming platform and organisers of some of the largest esports events in Europe and North America, and PUBG Corporation are pleased to reveal their dazzling lineup of broadcast talent set to deliver the FACEIT Global Summit to fans around the globe from ExCeL London from April 16-21st. The prestigious global event will celebrate the end of Phase 1 and crown the first champion of the PUBG Classic series. FACEIT can now reveal the stellar roster of esports personalities who will bring the action to life, live from London this Spring. The eclectic FACEIT Global Summit roster includes esteemed PUBG mainstays from the National PUBG League (NPL) in Matt “Martrym” Oates and Steven “Toffees” Pierce, as well as PUBG Europe League (PEL) talent in Martin ‘Avnqr’ Gøth, Richard Simms, James ‘Kaelaris’ Carrol and Leigh "Deman" Smith. PUBG Korean League (PKL) expert Clinton Bader will also be providing insight along with PUBG pro player Keiron ‘Scoom’ Prescott. Stars from the CS:GO scene will also be showcasing their PUBG prowess in FACEIT’s own Freya Spears and world renowned shoutcaster and PEL regular Lauren "Pansy" Scott, as well as award winning esports host Frankie “GetFrank” Ward. 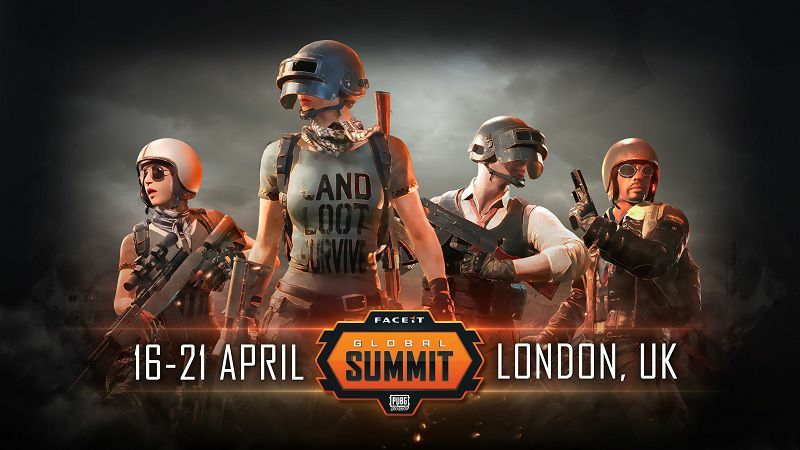 The FACEIT Global Summit: PUBG Classic takes place from 16th-21st of April at ExCeL London and will see 24 teams from North America (NPL), Europe (PEL), Korea (PKL), China, Japan (PJS), Chinese Taipei/Hong Kong/Macao, Southeast Asia, Latin America, and Oceania compete in the epic multi-stage tournament that marks the end of Phase 1 for PUBG esports and crowns the first champion of the PUBG Classic series. Tickets for the FACEIT Global Summit: PUBG Classic can be purchased here.